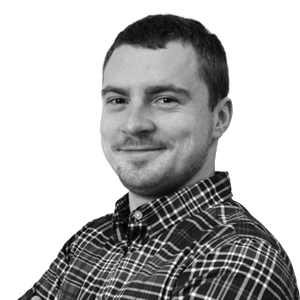 Dmytro Khomenko is a Pre-Sales Engineer at StarWind Inc. He has 5 years of IT experience with a focus on customer facing roles. Has a broad knowledge of storage, virtualization, backup, and infrastructure implementation. Before the time when SSDs took their irreplaceable place in the modern datacenter, there was a time of slow, unreliable, fragile, and vacuum filled spinning rust drives. A moment of change divided the community into two groups – the first with dreams of implementing SSDs in their environment, and the second, with SSDs already being part of their infrastructure. The idea of having your data stored on the associated tier has never been so intriguing. The possibility of granting your mission-critical VM the performance it deserves in the moment of need has never been more appropriate. The most important part of any server infrastructure is the performance of the underlying storage which creates a direct dependency on the performance of the mission-critical applications. With all the available options for selecting the highest-performing underlying storage for your host taken into account, as well as the consideration of a lot of finger pointing once a storage array doesn’t perform according to plan, the responsibility involved makes the decision even more difficult than it seems. The reason for writing this article was the goal of eliminating any possible confusion in the process of configuring the StarWind Virtual Tape Library in pair with the Microsoft System Center Data Protection Manager. The integration of SCDPM provides a benefit of consolidating the view of alerts across all your DPM 2016 servers. Alerts are grouped by disk or tape, data source, protection group and replica volumes, which simplifies troubleshooting. The grouping functionality is further completed with the console capable of separating issues that only affect one data source from problems that impact multiple data sources. Alerts are also separated into backup failure or infrastructure problems.